PROVIDENCE | Mini-boom, great renderings! 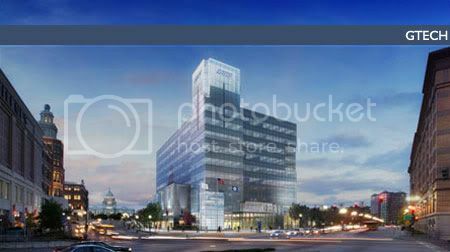 Thanks to Cotuit's post at the Boston skyscraper forum for these great renderings! Water Place/Intercontinental (official website here): 307,470 square feet to be built of mixed-use property including retail, residential, office and hospitality uses. The first phase will include two building complexes containing a total of 275 apartment units; one 19-story tower and one 16-story tower in addition to 480 underground garage spaces. Holiday Inn renovation: conditional on the purchase of the Westin from the state by a private developer, who will also add 200 more hotel rooms in the form of a new tower next to the existing Westin (no renderings of the new Westin tower, sorry). I'm so excited about this, and I've been following it for the past few months. Seeing that we haven't had a real skyscraper go up since the mid-1980's I thought everyone just thought skyscrapers were NIMBY's in Providence... which they are, to a certain extent. 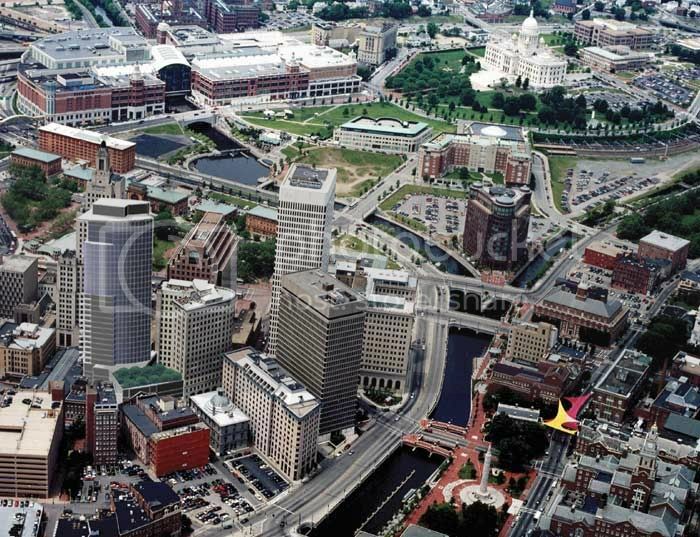 I, personally, want Providence to stay as a "mini-Boston", and I think most locals agree. I won't believe it until I see the piles going down, though... Providence has had these proposals in the past, and they've never gone past the preliminary planning stages. The Holiday Inn renovation is actually under a new plan, I believe. I saw a more recent rendering in the Providence Journal that looked different. I might have been from a totally different angle, though. Very nice. Some good infill going on. Love those buildings. Perfect for Providence, especially the tall one. Just what the core skyline needs. Very nice, Providence!! Up, up and away!!! I hadnt heard about the Water Place/ Intercontinential tower. Providence is the comeback kid. That first building is going to make a huge impact on the skyline. Wow, it's like art deco/noveux is back in style! I never thought you could fit an entire new hotel on that block of land, but I guess I was wrong. It looks like each level in that tower will only have two or four rooms in it, though. Wow, my fingers are crossed. DAMN the addition to the Westin is beautiful and tall for Providence! 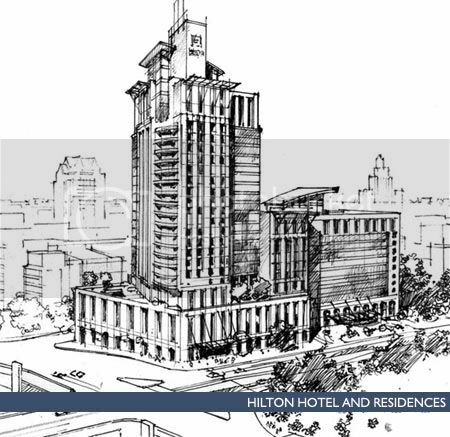 I think that Holiday Inn/Hilton rendering up there is a first blush. I saw the one from ProJo online, it was a horrible ill-compressed image though, so I really couldn't tell what I was seeing. That downtown looks really nice next to the river and all the parks by the capital. Make sure to find us some pictures of construction when it gets started. Go Bruins! A 13-story downtown hotel was just announced today. Providence has had a pretty good month saying that over 100 stories of high rise towers have been proposed within the last 30 days. There's some sharp looking projects happening up there! i really like the Westin tower. Wow, I had no idea. All of these will be great for the city and skyline.